Ok, I have to ask.. when did Hal as Parallax face the Dark Lantern aka Kilowag? That wasn't in GL? So when did that occur? It happened in the Legacy: Last Will & Testamenet of Hal Jordan graphic novel. It was here that Oa was also recreated. Just checked out this tread. Man, what a stroll down memory lane. No GOOD memories for me mind you, but memories nonetheless. When I see Banks' version of Parallax, I'm always convinced he used Alan Thicke from Growing Pains as a model, lol. I always saw a bit of Dennis Quaid in the Banks model myself. anyone have more pics ? These are very cool. I need to go back and catch the whole Parrallax bit. I didn't start reading until the rebirth. I thought I started with Blackest Night but going back I had a bunch of the rebirth issues as well. Before that not much, and Parrallax seems like a good place to start. Original Parallax is many orders of magnitude better than retconned Parallax. Let us know what you think of the old stories, BH. They don't work with Rebirth and the new era at all, but they're still highly underrated. If you say so. Most of the old Parallax stories struck me as DC desperately hitting the readers over the head with, "Look, Hal really IS crazy! Look, look!" as if what they utterly failed to establish through any logical development in ET (in my opinion, at least) they could instead establish through simple repetition. 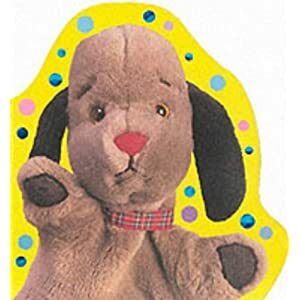 Later there was also a bit of, "No look, we didn't TOTALLY trash the character! See, a glimmer of the man he was! Doesn't that make up for it?" but initially it was mostly reinforcing the crazy. Well, duh. DC has never thought much of the intelligence of its readers. It's even worse nowadays. At any rate, flawed antihero is always better than "Blah! Scary! Fear!" giant space bug. Matter of opinion. Flawed anti-hero incompetently hacked from genuine hero doesn't really beat living embodiment of fear for me. More importantly, fear bug that is hardly ever mentioned anymore FAR AND AWAY beats repeated bashing over the head with incompetently derived anti-hero, IMHO. We got bashed over the head with the fear bug a bit at first, but now he's faded away, whereas nutty Hal kept popping up to show us how nuts he was for YEARS. Last edited by Mister Ed; 04-27-2012 at 09:10 PM. Will do! I'm going to try to grab some this weekend. That wasn't the problem. The problem was claiming that this bug drove Hal as far back as his road trip with Ollie, and everything he did was based on fear...which was completely at odds with what Parallax was actually doing. The fear bug was part of the big GL event last year. Hardly faded away. I've got a feeling those entities are going to show up in the next event, too. But he was a SMALL part. Parallax now (and really since SCW) is a minor character, lucky to get a few panels when he shows up, lost among the general mess of all the other entities. Every time HAL Parallax showed up, he pretty much became the main focus of whatever story was going on, spouting line after line to try to reinforce his nuttiness. I think one of the best parallax stories was in Silver Surfer / GL. Most of the time Parallax was always in the wrong, but in that story he actually explained his point of view to a sympathetic ear without just going nuts about bringing back the past. If they had made more stories about Parallax actually doing some genuine good with his powers I'd have missed him more when they did away with him. I didn't like the fear bug retcon when it happened, but it works well enough. Yeah, I always found Silver Surfer/GL to be highly underrated. Great story, and the always-kickass Banks art! Parallax was not a small part of War of the GLs. Not in the least! Last edited by SD80MAC; 05-01-2012 at 02:08 PM. If you say so. I recall him simply being a plot device, used by Krona (the real focus) to corrupt the Corps, with little panel time and few lines. Haven't read it since it first came out, so maybe I'm misremembering. 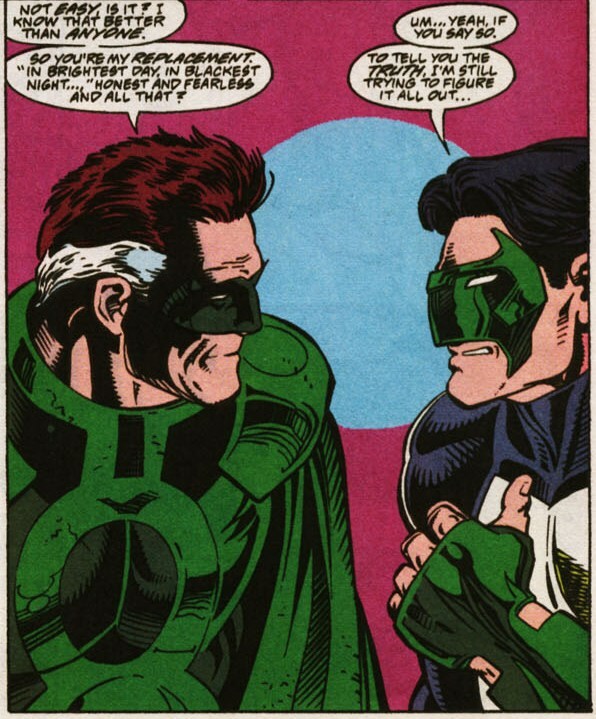 I recall Hal showing up in Zero Hour, in Guy's title, in various one-shots, and like 3 or 4 times in GL. And Final Night, of course, though they were trying to downplay his nuttiness a bit there. Plus the (to my mind) annoying bits found in various places where they had scenes set in the past designed to retroactively make it seem like Hal had always been potentially unstable. Maybe I was just overly sensitized because I thought Hal's turn to Parallax was so poorly done, but I feel like he was much more likely to be a main focus when he appeared than bug Parallax is post SCW.